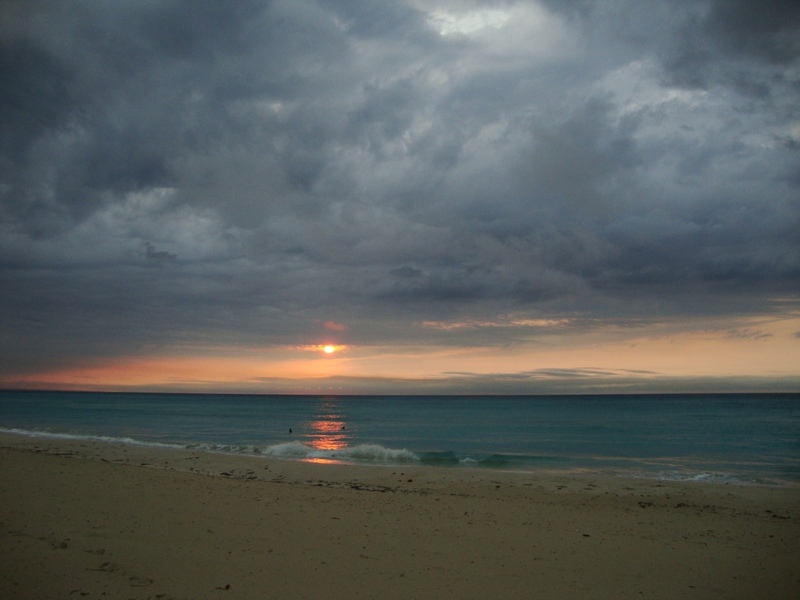 Sunset at the beach after a massive thunderstorm in Varadero. The rain was pouring down for an hour or so, accompanied by ferocious thunders and gusts of wind. In the hotel there were several leaks where water was dripping from the ceiling onto the floor. The dark clouds went out towards the ocean and the sun was setting under a dramatic sky, glowing red on the plain sea. I went down to the beach and watched until it got dark with a sundowner in hand. It’s about time to go back to the beach and I can’t wait for some warm days and beach time when we get to Zanzibar in about 2 weeks time!